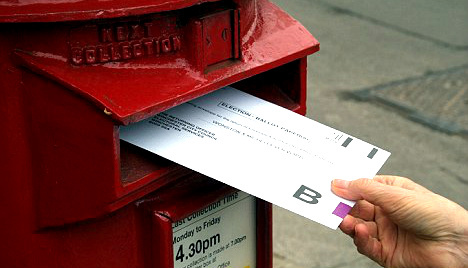 More and more Conservative supporters are choosing to vote by post because it is an easy and convenient way of voting if you are unable to get to the polling station to vote in person. You never know what will come up on polling day. Whatever the weather, whatever else you’re doing, voting by post means you won’t need to make a special trip to the polling station and you’ll never lose your chance to vote if something comes up. You will need to complete an application form which will be used by the Borough Council to process your application. There is a form at the bottom of this page which you can print off and return to Electoral Services office at the Borough Council. If you prefer to register on-line, you can do this by clicking here. You will be taken to the official Electoral Commission website. The Electoral Commission is non-partisan and your details will be secure if you register for a postal vote there. Your application form must be received by your local Council no later than 5pm, 11 working days before polling day for your application to be successful. Any applications received by the council after this time will not be granted a postal vote.